View Cart “Anatomy of the Soul E-BOOK” has been added to your cart. Whether you envision yourself as a potential leader, or just want a leader you can be proud to follow, learning these mytsical dynamics of leadership will change your life and help empower the Jewish people. Downloadable Link to the PDF will be available upon purchase. Limit 5 downloads. Download link expires in 30 days. Nearly two thousand years ago, the Zohar, the classic text of Kabbalah, predicted that in our day and age–bbeginningin the sixth millennium–revolutionary advances in secular knowledge would burst forth and flood the world. The Kabbalah foresaw the resulting upheaval that is now causing the world–which is unable to adjust to the astounding speed of change–to reel into chaos. We face a crisis situation at all levels of society; where ever we look we see dysfunction, instability, turmoil, apathy, and confusion. At the crux is a crisis in leadership. Corruption in the highest ranks of almost every nation on the globe has left the world suspicious of any individual’s motives and ability to lead. The answer in Kabbalah is that when enough individuals cultivate their own personal qualities of leadership, these collective efforts will spiritually empower the potential true leaders and allow them to rise and assume responsibility. 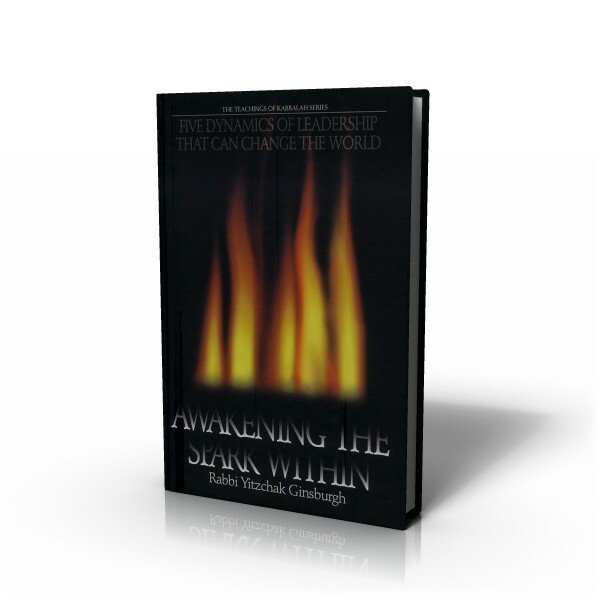 This is why the five dynamics of leadership explored in Awakening the Spark Within are not external strategies of power politics, but rather potent tools for contacting deeply dormant powers of the soul. They have been identified through and intense investigation of ancient mystical writings and more contemporary commentaries. When applied by the individual, these mystical dynamics of leadership have the power to affect three spheres: the inner sphere (transforming one’s self and family); the sphere of influence (transforming one’s immediate circle); and the communal sphere (transforming the larger society). And, once the stage is set, the ultimate leader will emerge to fulfill the hopes of all good people the world over.